Arizona State University (ASU) attracts passionate students who want to learn how to develop solutions to some of the most pressing sustainability challenges they see in the world around them. The Sustainability Champions Scholarship is intended to help fund ideas and education for these students and to attract scholars from around the world. *To be eligible for this scholarship you must first be admitted to ASU. Apply to ASU now. This is a $4,000 scholarship. Recipients will be chosen based upon merit and/or need. Funds will be allocated in the first year for tuition and educational expenses, or for tuition or development of a solution to a sustainability challenge in a future semester of the student’s undergraduate program. The award amount will be split between Fall 2019 and Spring 2020 or can be reserved for a future year (up to 4 years or graduation, whichever comes first). Awardees must 1) be enrolled full-time, 2) be in good academic standing, and 3) maintain continuous enrollment each fall and spring at ASU (if they plan to use the award toward an initiative in a future semester). Sustainability Champions scholars may use their awards for tuition or educational expenses, via their student account, during any of their four undergraduate years at ASU. If a student prefers to use the award toward the implementation of a sustainability initiative, that student will be asked to submit a brief proposal and budget (this does not have to be part of the initial application). 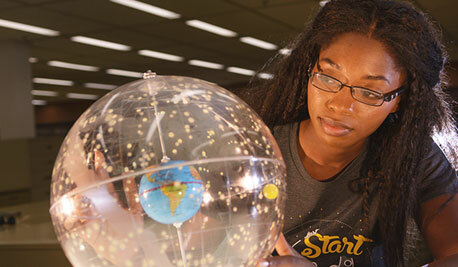 The project may be funded during any of the student’s four undergraduate years at ASU. For clarification purposes, the award is applied only once to one of the semesters during the student’s undergraduate academic career at ASU. The following Sustainability Champions Scholarship deadlines exist for incoming freshmen and transfer students that have applied for Fall 2019 admission. Be an incoming full-time freshman or transfer student. Have completed your application to ASU and be admitted to a School of Sustainability degree program at the time your application is submitted. Which program at ASU did you apply to? What is a sustainability challenge you see in your community or in the world? What is a potential solution to this challenge you would like to study or work on while at ASU? Note: If you are a sustainability officer or engaged in sustainability in your school’s student council, please be sure to mention this in your essay or video. If you are a student from Kamehameha Schools, please be sure to mention this in your essay or video. Create a video between one and two minutes long (1:00 – 2:00). Include your name, city, and state. International submissions: include your country. Answer the four questions outlined above. Upload the video. Videos must be viewable without an account or password. If you are using YouTube, please select “public” or “unlisted” from the privacy menu. If you are using Vimeo, please choose “anyone” from the “who can view” privacy menu. If you are using another platform, please ensure that the video is viewable without an account or password. Name your video. Video title should include your name and the semester you anticipate enrolling at Arizona State University. If you are submitting an essay, you must upload the essay within the application form. Documents must be viewable using standard software, such as Microsoft Word or Adobe Reader. Recommended formats include .doc, .docx, .txt, or .pdf. Write an essay of approximately 500 words, double-spaced. Include your name, city, and state. International submissions, include your country. Name your file. Document title should include your name and the semester you anticipate enrolling at Arizona State University. Only applications which meet the Application Process requirements will be considered, so be sure to follow the instructions above.